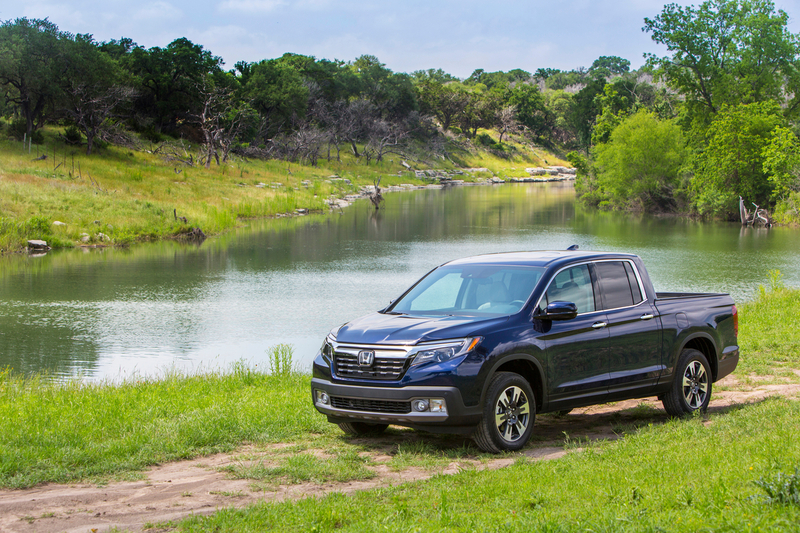 Jan 16, 2019 - TORRANCE, Calif.
For the third consecutive year, the Honda Ridgeline has been named to the Car and Driver magazine list of the 10Best Trucks and SUVs in the Mid-Size Pickup category. For the awards, Car and Drivertested vehicles' unique attributes for their respective segments, including ride and handling, safety features, technology, comfort, practicality and fuel efficiency. The 2019 Ridgeline excels in each of those areas due to its unique unibody construction and extent of standard and available features. Honda offers a full line of reliable, fuel-efficient and fun-to-drive vehicles with advanced safety technologies sold through over 1,000 independent U.S. Honda dealers. The Honda lineup includes the Fit, Civic, Accord and Clarity series passenger cars, along with the HR-V, CR-V, Passport and Pilot sport/utility vehicles, the Ridgeline pickup and the Odyssey minivan. Consumer information is available at automobiles.honda.com/ridgeline. To join the Honda Ridgeline community on Facebook, visit facebook.com/hondaridgeline. Additional media information including detailed pricing features and high-resolution photography of all 2019 Honda Ridgeline is available at hondanews.com/honda-automobiles/channels/ridgeline.